Michael (Mike) Townley was born on 4 November 1934 at Hobart, the third of four children of Reginald Colin (Rex) Townley and his wife Irene Winifred, née Jones. His father represented the Hobart electorate of Denison in the Tasmanian House of Assembly between 1946 and 1965, first as an Independent and later as a Liberal; he was Leader of the Opposition from 1950 to 1956. An uncle, Athol Townley, was the Liberal member for Denison in the House of Representatives, 1949–63, and was Minister for Defence in the Menzies Government between 1958 and 1963. Both men were partners in Sidwell & Townley, pharmacists. Michael was educated at The Friends' School, Hobart, Sassafras and Kingston state schools, Hobart High School, and the University of Tasmania, where he graduated in engineering in 1956. He studied communications engineering for another year, and radio astronomy at the University of Toronto for approximately two years. On his return from Canada Townley attended Hobart Technical College, gaining a Diploma in Pharmacy. A registered pharmacist from 1964, he was the managing owner of three pharmacies by 1968. From the mid-1960s he was well-known as the 'Chemist of the Air', speaking regularly on health matters on radio and television programs. He also assisted the Tasmanian health department in promoting public campaigns, such as the poliomyelitis vaccination campaign. Unmarried, he lived for some time with his father. After the death of Athol Townley in December 1963, Mike Townley was approached to nominate as the Liberal Party candidate for his uncle's seat in the House of Representatives; he rejected the proposal for business reasons. By 1968 he believed himself ready to contest Denison but was defeated for Liberal preselection. At the 1969 federal election Townley stood for Denison as an Independent, although at the time he was still president of the Lenah Valley branch of the Liberal Party. He came within a few hundred votes of overtaking the endorsed Liberal, Bob Solomon, and his preferences pushed Solomon to victory over the ALP candidate. In the following year Townley was one of five Liberal candidates chosen to contest the November 1970 half-Senate election, but the State Executive reduced the ticket to three, with Townley excluded. Once again Townley decided to run as an Independent, and the 'Townley Group', a network which had helped elect his father to the Tasmanian Parliament as an Independent, re-emerged to assist his campaign. Townley gained 13.8 per cent of the first preference votes, and was the fourth senator elected, for a term commencing on 1 July 1971. He announced that, although he was still technically a member of the Liberal Party, he would not join the parliamentary Liberal Party, but would sit as an Independent senator. He suggested that there could be reconciliation 'if I could see any advantage for Tasmania'. Although Townley was sworn in as a senator on 17 August 1971, he did not make his first speech until 17 May 1972. In the meantime, he had asked more than fifty questions, many of them highlighting Tasmanian issues, particularly the difficulties that the state faced in air services, shipping, fishing and agriculture and the cost of goods and services due to isolation from the mainland. Townley expressed similar concerns in his first speech. Like many Tasmanian senators before and since, he was determined to protect the residents of 'our forgotten island'. As to the role of the Senate, he regarded it as 'a House where the smaller States are as important as the larger States'. In his first speech, Townley questioned the morality of the federal government's 'treatment of our poor'. He believed that 'pensioners, the unemployed and superannuants' were 'falling further and further behind into the pool of poverty in this country'. Townley's concern for the hardship of those with limited incomes was evident throughout his time in the Senate, where he asked many questions about various aspects of social security benefits, usually with a view to having a benefit increased or extended in scope. In 1976 he spoke of his 'association and friendship ... with some thousands of pensioners, and many of them voted for me'. When Labor won office in December 1972, Townley said he would support the new government except on any issue that might not be in Tasmania's interests. In fact, he usually voted with the Opposition. Townley's supporters made overtures to the Liberal Party in 1973, proposing his return to the party providing he was given top position on the Liberal ticket at the next Senate election. Offered third position, Townley chose to remain an Independent. On 4 April 1974 the Leader of the Opposition, Billy Snedden, announced a strategy of opposing appropriation measures in the Senate with the intention of forcing the Whitlam Government to an election. The position of the parties in the Senate was such that Townley's vote might have proved decisive. Townley was reported in the press as having 'grave misgivings about the propriety and constitutional consequences' of removing a government by such means and there was speculation that he would support the government. In the Senate on 10 April, the Opposition moved an amendment adjourning debate on an appropriation bill stating that 'the Government should not be granted funds until it agrees to submit itself to the people'. When the government moved to close debate on the amendment, Townley voted with the Opposition to defeat the closure motion but, as the government treated the defeat of the motion as a denial of supply resulting in an immediate simultaneous dissolution of both Houses of Parliament, the amendment was withdrawn and Townley therefore was not required to vote on the deferral of the appropriation bills. The Governor-General, at Whitlam's request, dissolved both Houses of Parliament on the basis of previously rejected bills that met conditions under Section 57 of the Constitution. A national fall in non-major party support saw Townley's vote in the May election fall by 8.2 per cent from the 1970 poll, and he was the second last of ten senators elected. After the election, Townley and Liberal Movement senator, Steele Hall, held the Senate balance of power, a responsibility Townley described as 'frightening'. In August 1974 the Liberal Party made overtures to Townley to re-join its ranks and in September he paid his dues at the party's Lenah Valley branch, though he retained his independent status in the Senate. He became more strident in his opposition to the Whitlam Government, telling the Senate in October 1974 that the Deputy Prime Minister, Dr Jim Cairns, 'aided and abetted' by ALP president Bob Hawke and others, was deliberately 'pushing this country headlong towards disaster' through a 'cleverly connived collapse' of the nation's economy with the ultimate aim of 'total socialism or even communism'. On 11 February 1975 Townley announced that he had joined the parliamentary Liberal Party. Labor senators were reportedly amused by his justification: 'I consider it most undemocratic for one person to hold the very considerable power I did as the independent in the balance of power'. Townley also cited the 'disastrous' effects of government policy on the economy and asserted that it was now the task of the Opposition 'to become the Government as quickly as it can'. During October and November 1975, he was a firm supporter of the Opposition's blocking of supply. In the 1975 double dissolution election he occupied second position on the Liberal Party Senate ticket and was comfortably re-elected, as was also the case in the federal election of October 1980. 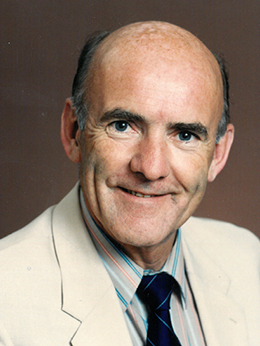 A member of a range of Senate committees throughout his parliamentary career, Townley chaired the Select Committee on Civil Rights of Migrant Australians (1973–74). This politically sensitive committee was in essence an investigation into the circumstances 'surrounding and relevant to' the notorious 'raid' on ASIO's Melbourne headquarters on 16 March 1973 by Labor Attorney-General Lionel Murphy. The committee lapsed at the double dissolution of Parliament and was not reappointed; its final report was never released. Townley was a conservative politician in so far as he feared socialism—'I feel that every step towards socialism should be resisted, no matter how small that step is'—his distrust of trade unionism, his defence of free enterprise and his call for a flat income tax 'that rewards those who work harder ... in a fair way'. However, Townley was relatively progressive on environmental issues. Townley was critical of the use of non-returnable bottles and the pollution caused by plastic bags, and pointed out the benefits of daylight saving in helping reduce fuel consumption. During 1972 he questioned the planned flooding of Lake Pedder by the Tasmanian Hydro-Electric Commission, referring to the lake's 'outstanding scientific importance' and the probable destruction of unique plant and animal species. As early as 1983 he warned that the world should worry about 'the greenhouse or warming effect', caused by the burning of fossil fuels. His concerns about the hazards of fossil fuel usage, such as acid rain, saw him oppose the World Heritage Properties Conservation Bill 1983 that sought to prevent the damming of the Franklin River, stating that it 'would be giving away Tasmania's right to determine its destiny in development', and concluding that a hydro-electric scheme would produce power at the most reasonable cost in economic and environmental terms. Townley strongly supported the mining of uranium and the development of nuclear power. Active in debates on health issues, Townley raised the issues of childhood nutrition and food and drink labelling, and suggested reducing the percentage of alcohol in beer. Disturbed by the rising costs of prescription medicines, he proposed increasing the number of doses available on each prescription. He deplored the under-resourcing of public hospitals but opposed the Whitlam and Hawke governments' health insurance schemes, as detrimental to the private hospital system and too expensive, and said in 1976 that 'people who supported the capitalist philosophy should support the capitalist health system'. Townley described Parliament's propensity to sit late into the night as 'crazy', noting that senators had died 'due to the stress'; in 1974 he referred to the death of his uncle, Athol Townley, at the age of fifty-eight, saying: 'I have no driving ambitions to get to the top, and I am not prepared to kill myself to get there ... it killed my uncle and I am not prepared to let it kill me'. Townley was at times criticised for his apparent lack of concern for accepted parliamentary behaviour. In August 1974 he claimed that a Labor senator had tried to bribe him with the offer of more staff if he supported particular clauses in the Trade Practices Bill. The President of the Senate, Justin O'Byrne commented that, in failing to report the matter to him, Townley was 'very lax in his conduct' and had 'offended the whole Senate'. On 28 April 1976 Townley caused uproar in the Senate by tabling a document in which it was claimed that an Iraqi national had presented former Prime Minister Whitlam with an envelope containing five hundred thousand dollars. The document appeared to be an incomplete copy and was not signed, and its alleged author, Henry Fischer, subsequently repudiated it. Although it was suggested in the Senate that Townley should be 'dealt with by the appropriate Senate committee', for presenting allegations to the Senate from a document that 'was unsubstantiated and indeed may have been false', Townley escaped disciplinary action. Although he was a member of the parliamentary Liberal Party for nearly all of his last twelve years in the Senate, Townley's pronounced independent streak remained. He antagonised Liberal colleagues by his preparedness to ignore party unity, for example, when he supported elder brother Rudge's independent candidacy for the Senate in 1977. He was a frequent floor-crosser, voting contrary to the agreement of the parliamentary party in divisions on many occasions. In the company of other Tasmanian Liberals, he voted repeatedly against the progress of the government's 1977 constitutional amendment bills, wary that they proposed changes to the electoral system that would be disadvantageous to Tasmania. In May 1976 and October 1978 he crossed the floor to vote against clauses in social service amendment bills, which he believed to be unfair to pensioners. In October 1978 Townley was the only Liberal to vote with the ALP and the Australian Democrats for his own amendment to the Income Tax Assessment Amendment Bill (No. 2). In May 1981 he again acted alone when he crossed the floor to support an unsuccessful amendment to the Census and Statistics Amendment Bill moved by Australian Democrat, Colin Mason. Finally, in May 1987, in the company of seven other Liberals, he voted for the third reading of the Labor Government's Equal Employment Opportunity (Commonwealth Authorities) Bill 1987. Townley had long been a supporter of Andrew Peacock in his leadership struggles against Malcolm Fraser and John Howard. With the announcement, in late May 1987, of a double dissolution election to be held on 11 July, Townley's position on the Tasmanian Liberal Senate ticket was threatened, with suggestions that he would be placed in an unwinnable spot, or dropped entirely. Subsequently, Townley was reported to have considered an approach to head a separate ticket for the 'New Nationals', supporters of Queensland Premier Joh Bjelke-Petersen, a move that was scotched when it was found that it was too late for the party to be registered in Tasmania. Townley resigned from the Liberal Party on 5 June 1987, on the eve of the pre-selection, stating that he would deny the selection committee the opportunity to 'publicly cut my throat'. He also said that he believed his support for Peacock lay behind his ousting and accused John Howard of 'trying to get rid of those who oppose him'. He did not contest the July 1987 election. Early in his political journey, a journalist described Mike Townley as 'a quiet, introverted figure' in the Senate; at the end of his time in the Senate it was noted that his was a career 'dogged by controversy'. Controversy was particularly apparent in his relationship with the Liberal Party. Townley's best asset for the party was his strong personal vote, but this was also the source of his problems with the party. He seemed to operate on the assumption that the potency of the Townley name gave him licence to place his own views above party policy, while continuing to guarantee him a secure place on the Senate ticket. A day of reckoning was inevitable. Townley did not attend the Senate on his last day as a senator, 5 June 1987, and therefore did not receive any of the customary tributes to departing senators from party colleagues. Townley's independence of mind, his attention to the needs of his poorer constituents and his committee work were contributions worthy of fuller recognition. Mercury (Hob. ), 9 Feb. 1950, p. 8; Scott Bennett, 'Townley, Athol Gordon', ADB, vol. 16; CT, 15 May 1968, p. 28. Australian (Syd.) 8 Dec. 1970, p. 1, 23 Nov. 1970, p. 5; Nation Review (Syd. ), 19–25 July 1974, p. 1240; CT, 8 Dec. 1970, p. 3. CPD, 17 May 1972, pp. 1760–5, 25 Aug. 1971, p. 296, 8 Dec. 1971, p. 2491, 18 April 1972, p. 1137, 10 May 1972, p. 1552, 3 April 1973, p. 793, 9 May 1973, p. 1480, 15 May 1973, p. 1618, 12 Sept. 1973, p. 443, 19 Sept. 1973, p. 664, 25 Sept. 1973, pp. 831–4, 853, 27 April 1976, p. 1280, 9 Sept. 1981, pp. 596–600, 21 Sept. 1978, pp. 838–40, 18 Oct. 1978, pp.1422–4, 19 Oct. 1983, pp.1700–3. CPD, 14 March 1973, p. 445; Nation Review (Syd. ), 19–25 July 1974, p. 1240. Mercury (Hob. ), 9 April 1974, p. 1; Senate, Journals, 10 April 1974, p. 110; Odgers' Australian Senate Practice, 6th ed., RAIPA, Canberra, 1991, pp. 59–62. Australian (Syd.) 24 June 1974, p. 4; Herald (Melb. ), 14 June 1974, p. 3; Mercury (Hob. ), 26 June 1974, p. 1361; Age (Melb. ), 2 Sept. 1974, p. 8, 24 Sept. 1974, p. 1; CT, 8 Oct. 1974, p. 2; CPD, 2 Oct. 1974, pp. 1594–1600, 11 Feb. 1975, pp. 2–3; Australian (Syd. ), 12 Feb. 1975, p. 2; CT, 23 Oct. 1975, p. 12. CPD, 2 Oct. 1974, pp. 1594–600, 23 Sept. 1976, pp. 889–92, 6 March 1980, pp. 652–3, 9 Sept. 1981, p. 596, 8 Oct. 1984, pp. 1421–4, 12 Nov. 1985, pp. 1985–7, 9 Sept. 1971, p. 580, 14 Oct. 1971, p. 1361, 26 Sept. 1979, p. 959, 20 Oct. 1983, pp. 1883–4, 10 May 1972, pp. 1552–3, 10 Nov. 1982, pp. 2165–7, 17 May 1983, pp. 487–8, 7 Sept. 1983, pp. 415–8, 20 Oct. 1983, pp. 1816–19, 1883–86, 5 April 1984, pp. 1275–86, 29 April 1987, pp. 1970–74, 11 May 1987, p. 2582. CPD, 20 Nov. 1973, p. 1898, 21 April 1977, p. 868, 26 May 1983, pp. 899–901, 7 June 1984, pp. 2747–8, 1 March 1973, p. 88, 2 June 1978, pp. 2330–1, 16 April 1986, pp. 1787–9, 12 Dec. 1973, pp. 2762–3, 11 Dec. 1974, pp. 3382–3, 21 Sept. 1983, pp. 883–7, 29 Oct. 1981, p. 1906; Mercury (Hob. ), 21 Sept. 1976, p. 6; Age (Melb. ), 2 Sept. 1974, p. 8. CPD, 7 March 1973, pp. 198–9, 20 April 1977, p. 782, 25 Oct. 1978, p. 1571, 17 Nov. 1982, pp. 2431–3, 27 Aug. 1981, pp. 441–2, 6 Nov. 1975, pp. 1820–1, 23 Aug. 1978, p. 290, 15 Dec. 1983, pp. 3871–2; Age (Melb. ), 7 July 1975, p. 3. CT, 19 Aug. 1974, pp. 1, 3, 20 Aug. 1974, p. 1; SMH, 20 Aug. 1974, p. 1; CPD, 28 April 1976, pp. 1368–73, 18 May 1976, p. 1660, 19 May 1976, pp. 1727–8; SMH, 29 April 1976, p. 1; CT, 8 May 1976, p. 3. Mercury (Hob. ), 18 Nov. 1977, pp. 1–2; Australian (Syd. ), 6 May 1987, p. 1; CT, 19 Oct. 1978, pp. 3346–7; CPD, 13 May 1981, pp. 1915–25. AFR (Syd. ), 5 May 1981, pp. 1, 6; Mercury (Hob. ), 28 May 1987, p. 4; CPD, 2 June 1987, p. 8; Mercury (Hob. ), 4 June 1987, p. 3; SMH, 6 June 1987, p. 6; Age (Melb. ), 6 June 1987, p. 13. Age (Melb. ), 2 Sept. 1974, p. 8; Sunday Tasmanian (Hob. ), 7 June 1987, p. 11; CPD, 28 Oct. 1987, p. 1419. This biography was first published in The Biographical Dictionary of the Australian Senate, Vol. 4, 1983-2002, Department of the Senate, Canberra, 2017, pp. 318-322.